A house fire is a traumatic event that could be dangerous, not to mention costly. Fire accidents have the potential to damage your home, you, your family and friends, as well as cause further widespread destruction to nearby yards and even other buildings. It’s important to act promptly both during and after a fire emergency, in order to overcome all the issues you might face. Continue reading to learn more about the next steps to take after a fire in your home is extinguished, it may help you take some precautionary steps today! Even if the flames aren’t blazing anymore, don’t assume that it is safe to enter your home. The fire might have caused some structural issues and environmental turmoil, making it hazardous to enter your home. Make sure that everything is perfectly safe for re-entry and wear proper safety devices, such as a breathing mask and/or hazmat suit. 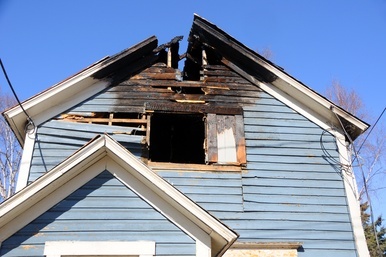 Don’t try to be a hero and venture into your fire-damaged home, call the professionals before you make the first move. Make sure you alert the firefighters, the authorities (if needed or required in your local area) and your insurance company. If you have a trusted contractor, it may be a wise choice to have them stop to assess the damage, giving you a more educated call with your insurance company. Don’t forget to start documenting the extent of damages as soon as the building is deemed safe to enter. For insurance purpose, you should create extensive lists, featuring documentation, as well as photo and video evidence to facilitate insurance investigations. Get a copy of the fire report. The fire report is also a very important document, which you should need when dealing with insurers or fire remediation providers. You can get this from the fire department that was on site. A fire in your home will leave quite a mess behind, make sure to hire a reputable remediation company!